It was almost inevitable that lèse-majesté charges would be brought against the programme, though why the case is being reopened after three years is unclear. The controversy relates to five episodes broadcast in 2013, in which the issue of reform of the monarchy was explored as openly as is possible within the strict confines of Thailand's lèse-majesté law. The first four episodes, shown from 11th to 14th March 2013, provoked considerable public debate, as this legally and culturally sensitive issue is rarely discussed in the media. 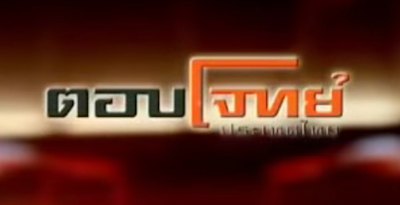 Thai PBS initially withheld the final episode, though it was eventually broadcast on 18th March 2013, after which the entire series was cancelled.